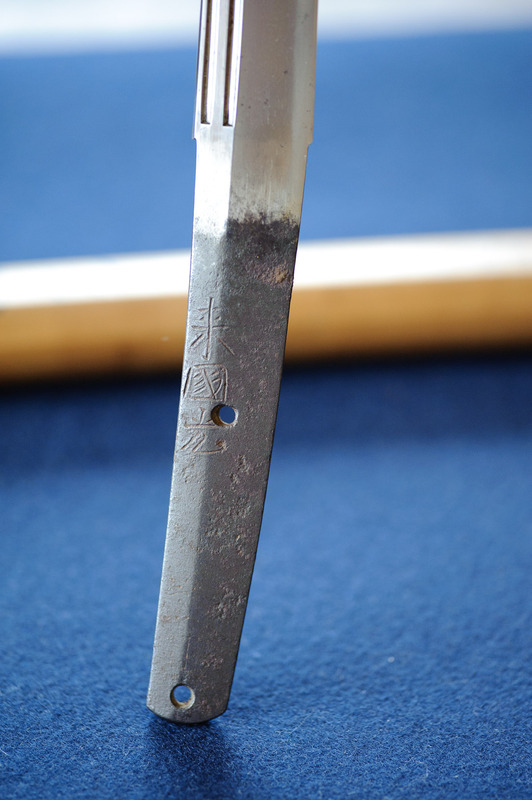 A friend of mine collects Japanese swords. He doesn't have very many... five or six.. but makes up for lack of quantity with quality: each one is priceless (where “priceless” means “has a price, but it's much, much, much more than I could afford”). One is a designated “Japanese National Treasure”. I don't know much about Japanese swords, or swords of any type, and I'm not real keen on the whole concept of tools designed for killing, but I remember being impressed by a paragraph I read long ago in, I think, a Lonely Planet guide, describing the painstaking method of construction of pounding two pieces of different iron together, drawing out and doubling the result over on itself to make four layers, then pounding them together back into one. This is repeated again, yielding an eight-layer construction. 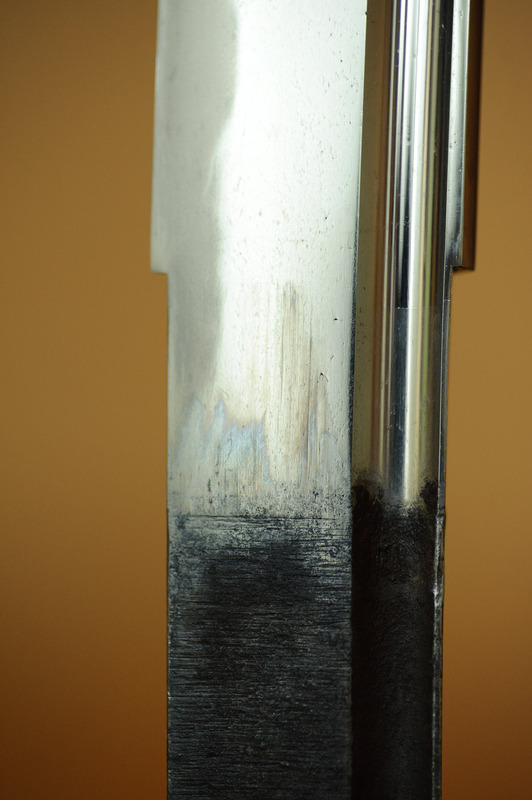 Again yields 16, then 32 layers. After 10 cycles there are over 2,000 layers, and from this somehow comes the strength. A skilled craftsman might be able to make two a year. 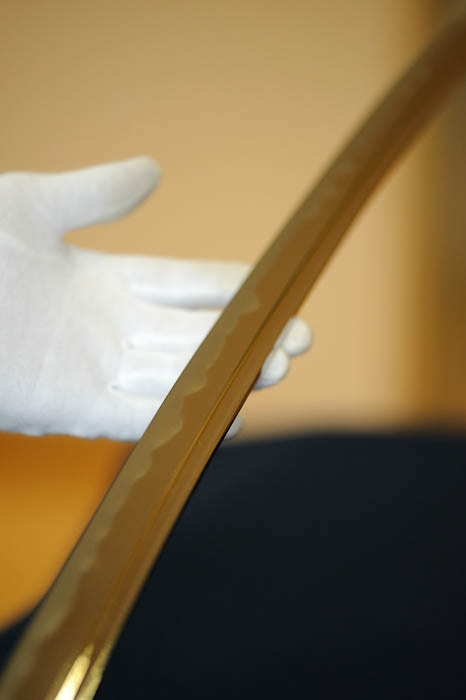 Unlike what you might see in movies, these early-period Japanese swords are fairly plain, dispensing with flash and drawing their appeal from raw, timeless craftsmanship. My ignorance of the subject is readily apparent in how little I remember of what he described. He provided animated descriptions of each sword's history, but it was all I could do to keep up with the basic terms (e.g. for hilt, blade, blade lock, blade guard, blade backbone design, etc.... there's a huge list here that I would have done well to study before my visit). 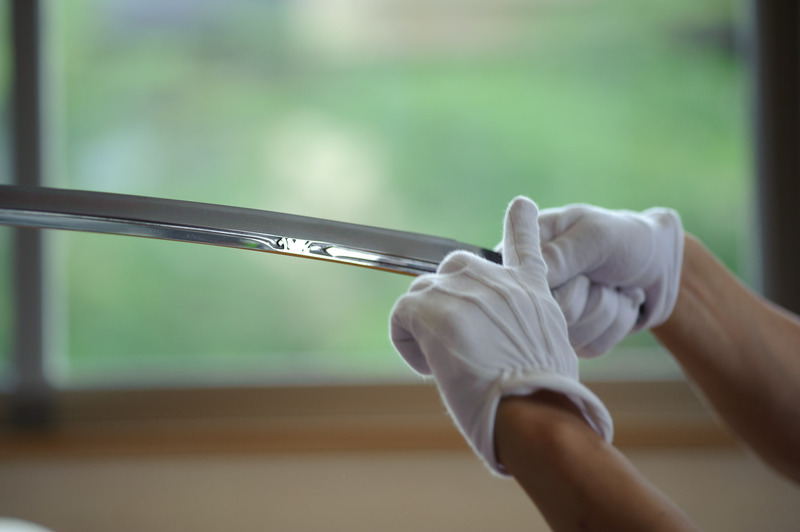 Most of his swords have simple wooden handles and scabbards dating much more recently than the blades themselves, maybe from only 150-250 years ago, to when experts of the time authenticated each blade's provenance. 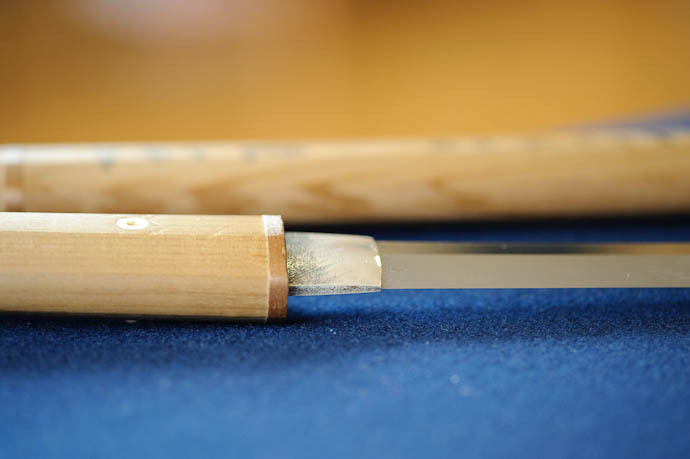 Rather than issue certificates, the expert providing the authentication would sign his name and other information to the blade, on the unpolished part hidden by the handle when the handle is attached. 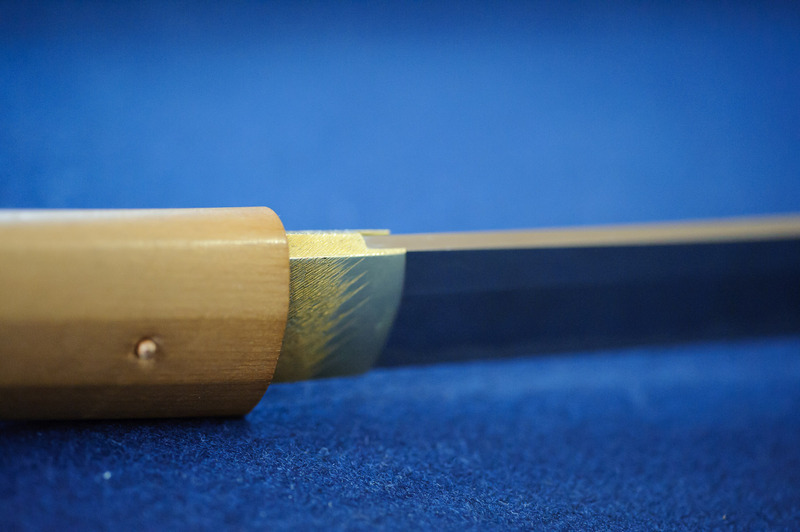 The golden piece between the handle and the blade, called a habaki, is itself a work of art, and locks the sword into the scabbard when the blade is sheathed. One is the subject of the Golden “What am I?” Quiz from the other day, which many people got right. I would have never had a clue until recently. For the most part I was trying to concentrate on taking interesting pictures, using my Voigtländer 125mm f/2.5 lens for its close-up abilities, and found it rather difficult because it takes a full turn of the lens barrel to change the focus just a few inches, and things were constantly in motion. The light was horrible (it was absolutely pouring rain outside, but I wanted to stick to natural light) and I hadn't brought a tripod, so it was challenging. But fun. 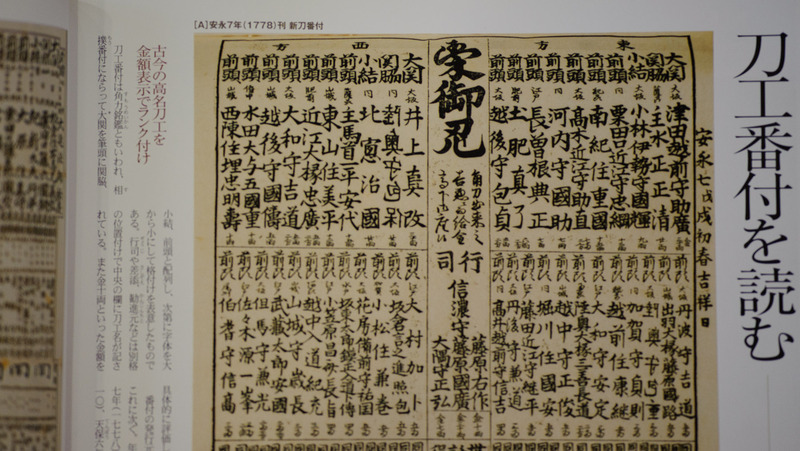 I think this one was made in 1332, and is a designated “National Treasure of Japan”. I wish I had kept notes. Instead, I tried to take interesting photographs, but failed miserably, mostly. I had higher hopes for an on-edge shot, but while it didn't come out as I had hoped, it's still sort of interesting in its simplicity. The blade is facing straight up over the blue felt, while the camera looks straight down. 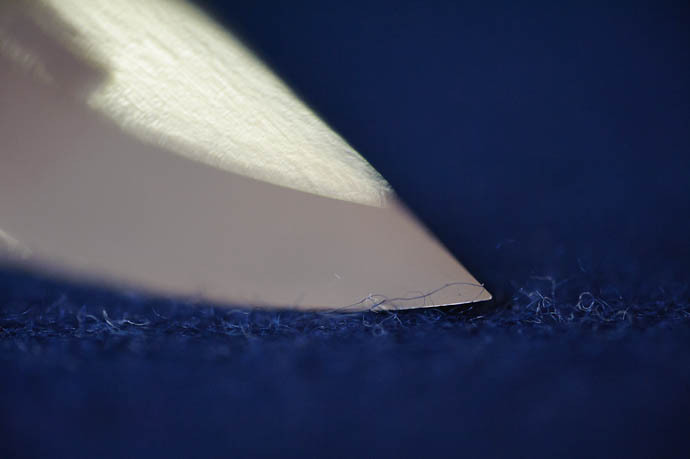 I tried to get the very edge of the blade in focus, but again, working with both the camera and the blade held by hand, it proved to be too challenging. Still, the result has some interesting character, and each attempt has its own feel as the overall mood changes with the focus distance, where we held the blade, and the dynamically-changing light from the thunderstormy outside. The version that had the best (relatively speaking) edge focus was featured in the previous post's Just Arrived After a Long Flight “What am I?” Quiz. I'd showed my mom upon arriving from a flight from Japan, and her first impression from across the room was that it was a shot out the window of the airplane. So, I decided to post it with a title designed to mislead. Didn't trick many. I think this is the name of the maker, as added by an authenticator, some time in the mid 1800s. Like I said, I wish I had kept notes. 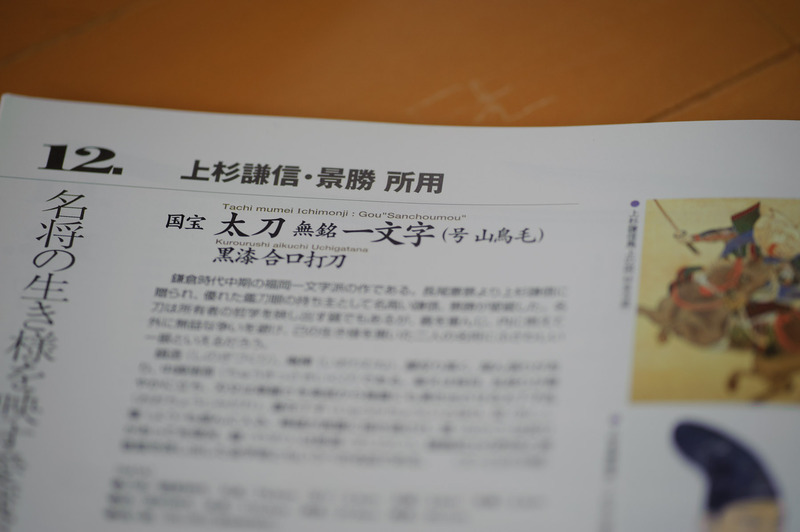 A banzuke is the ranking chart of sumo wrestlers prepared before each tournament, and occasionally I've seen the phrase borrowed for other kinds of rank listings. 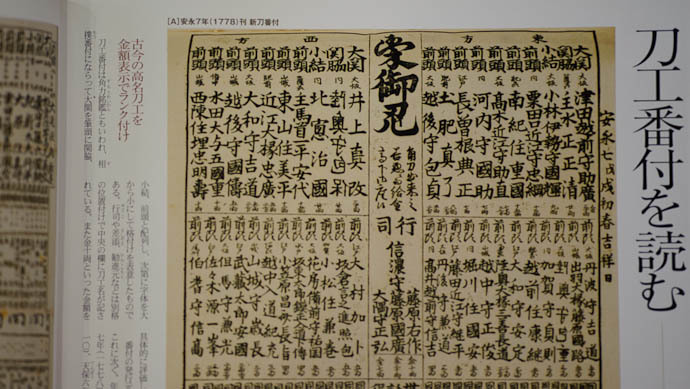 I guess such borrowing is not a recent phenomena because one of his books shows a list from 1778, banzuke style, of important swords. One of his is listed in the upper left. He had one sword that was very different from the others, that I'll write about another day. All and all, I'm left with the feeling that I squandered a great opportunity. I was already lamenting my poor preparation while I was there, so we agreed that I'd bring a tripod the next time I visit, but I also really need to bring a notebook. 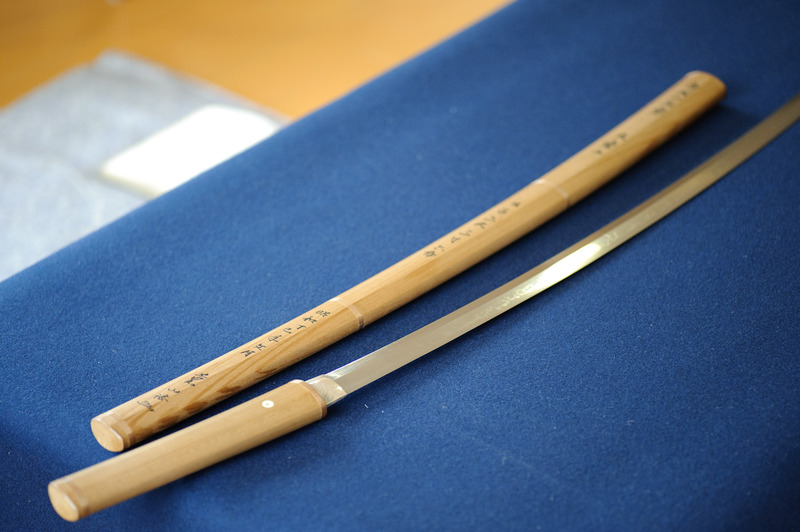 I have a fascination with swords like these, but living in Australia it’s difficult to see them very often. I’ve seen a few in art galleries here and they really are works of art, but I would have loved that up close experience that you had. Yes, they are heavy. 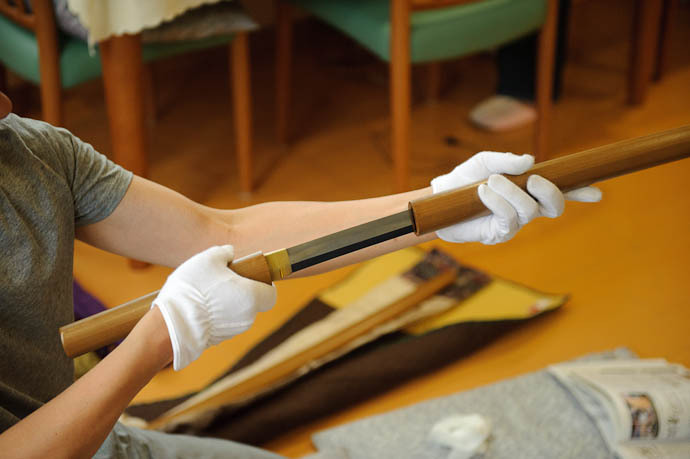 I was allowed to handle a 300 year old sword way back in the day at Maibara, Shiga, and it weight took me very much by surprise- and realized that unless one has arm muscles like Popeye the Sailor, one isn’t going to flash these swords about for very long as is done in the standard samurai dramas. The next day I was asked by my host if I had slept ok. The why’s of that question were that the sword had been given to my host as a gift, but as he and his wife were about to fall asleep, both of the saw the heads of an ancient nobleman and lady floating above them, and wanted to know if I has seen same. I didn’t. 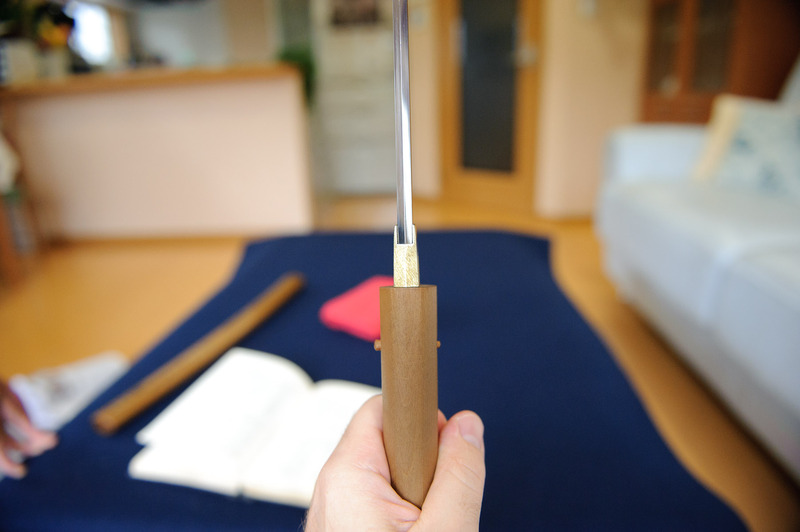 That notwithstanding, the sword left the house as a donation to the local temple, where I assume prayers were offered for the spirits of those whose life it had ended. 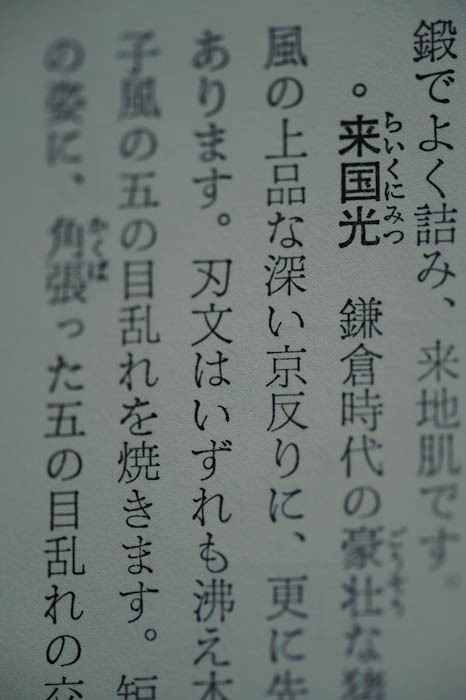 It’s too bad Nikon dropped the voice annotation feature from the D3 in the D700, otherwise you would not need a notebook. Fascinating. 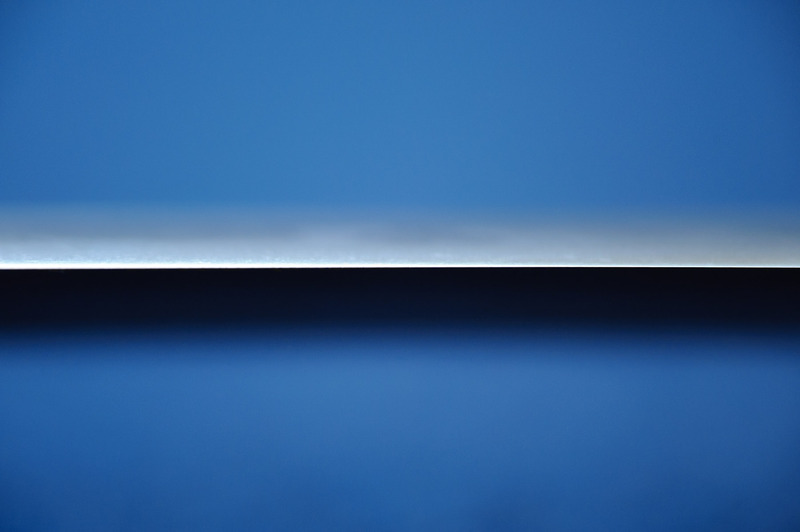 Lovely photos and intriguing swords! NOVA’s “Secrets of the Samurai Sword” is one of the best short documentaries I’ve watched. 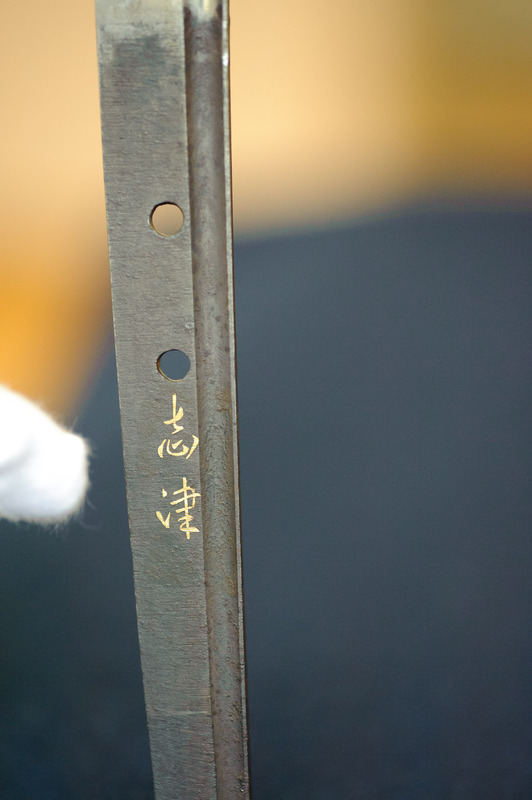 Japanese swords are so very unique to metallurgy, art, war, culture, craftsmanship, and history. 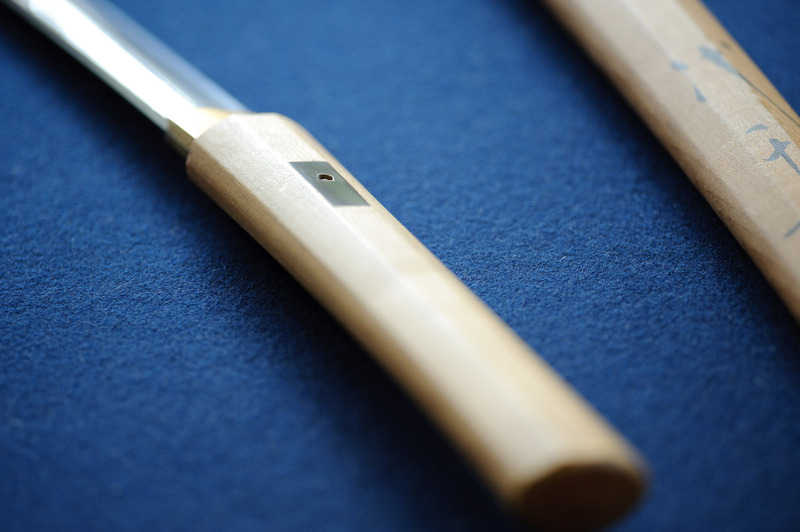 Most people admire at least one aspect of a fine Japanese Katana or shorter Wakasashi or small Tanto. To be a certified swordsmith and to sell them in Your name in Japan You have to apprentice for almost a decade under a ‘Master’ wordsmith. 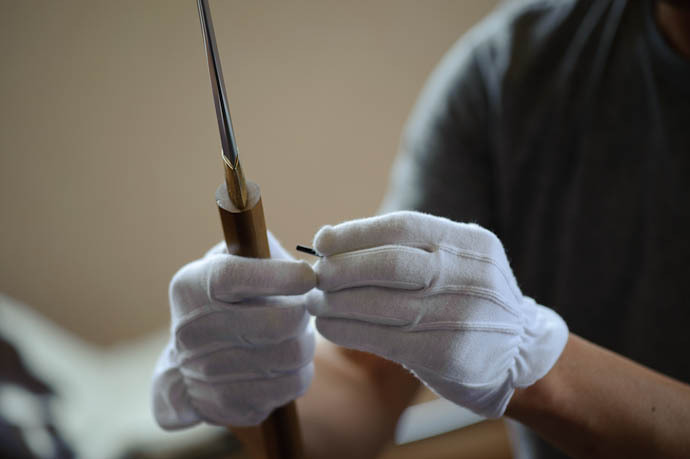 To be considered a master swordsmith You have to enter and win sword judging competitions of and by Your swordsmith peers. Swordsmiths do not polish their newly made or old worn antique swords to that well known brilliant sheen, in fact, they send them out to ‘Master’ sword polishers who also had to apprentice for a decade to be allowed to polish Japanese made swords. 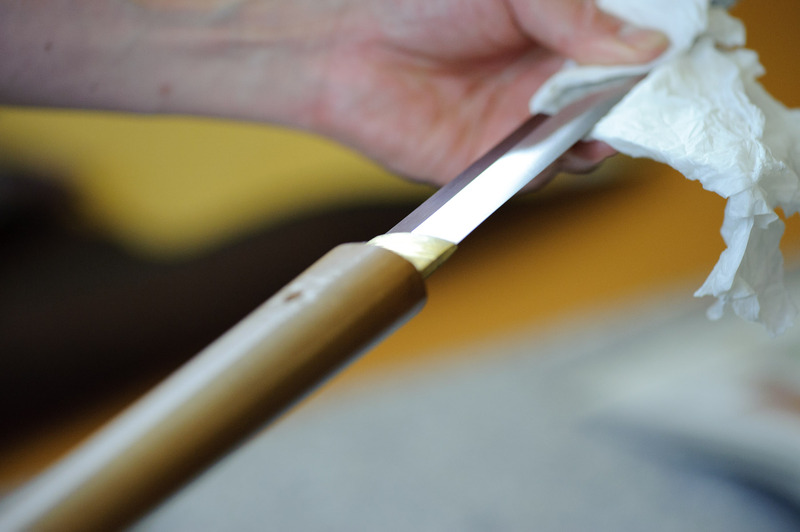 Even all the ornamental parts and even the scabbard of a Katana / Wakizashi / Tanto are all made by master artisans so then the entirety of a fine Japanese sword is pure high art.